Put this in between your battery and device. When the battery drops below 10.2 or 11 volts, it will shut your device off. 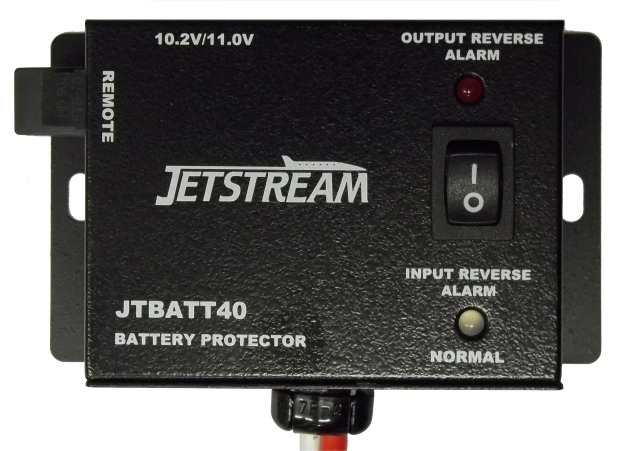 The JTBATT40 will also work as a remote switch.